Your princess will never want to let this one go! 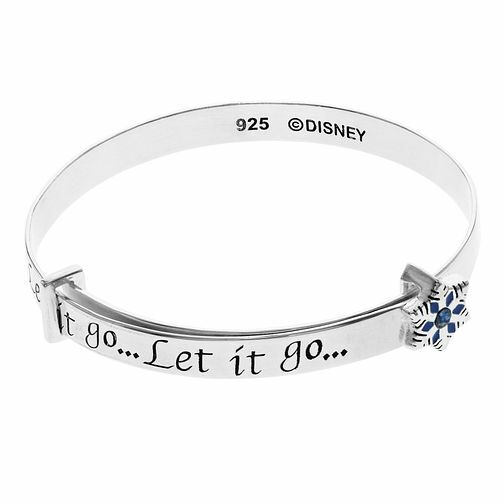 A stunning sterling silver bangle features those famous Frozen song lyrics 'Let it go… Let it go…' in dainty decorative design. A beautiful snowflake also adorns this bangle, featuring blue dazzling crystals, adding a touch of sparkle to the wrist. This bangle comes presented in a fantastic colourful Frozen giftbox featuring the favourite characters' faces, making this piece of jewellery a perfect gift for any Frozen fans!